These types of suites don't come around to often! Updated 2 bedroom and den on the 18th floors S.W. 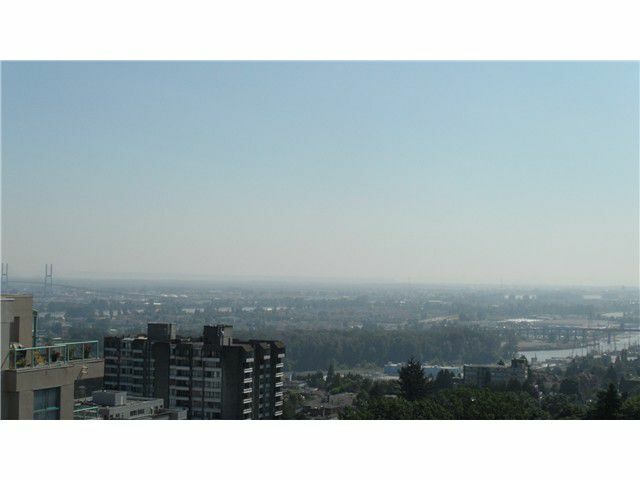 corner with stellar views and one of the best designed layouts around in New Westminster's premier building! Beautifully updated with rich,laminate floors, slate tiles in the entrance through the washroom and in the kitchen, high end appliances, custom tiled fireplace, crown moulding, paint and more! This Bosa built building with floor to ceiling windows, two balconies and a one block walk to anything a person could need is one you want to see!